In the wake of Brexit, Trump and other recent political turmoil, it is understandable that people would want to invest in something that is perceived as a safe haven, relatively free from risk. This uncertainty has driven up the demand on gold by the general public or “person in the street” as well as wholesale investors, forcing The Royal Mint to run it’s machines throughout the night to produce more gold and silver bullion to keep up. Infact, production of gold bullion coins and bars has increased by 50 percent in the last year and sales in January up by a third. About 30 percent of its bullion sales – mostly Britannia coins, but also sovereigns and bars ranging in size from 1 gram to 1 kilogram – are made through the Mint’s website, while a further 70 percent goes to wholesale clients. Limited by the advent of the cashless society, the Mint has heavily focussed on growing it’s bullion arm in recent years and although in global terms the Mint is still small, last years total gold sales of 237,000 ounces were dwarfed by the U.S. Mint’s 1.2 million ounces of gold Eagle and Buffalo coin sales. The 1,100 year-old Royal Mint is preparing to bring gold investment bang up to date by launching a new investment platform this year, which they are hoping will satisfy both gold bugs and bitcoins fans alike. 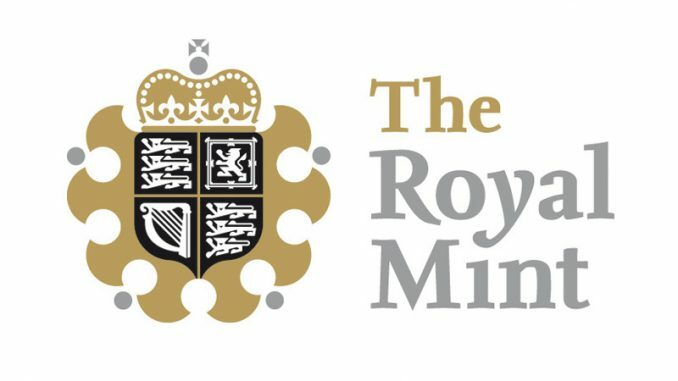 The Royal Mint plans to back gold with tech using blockchain technology to underpin investment in bullion, also known as “Royal Mint Gold” (RMG). The Royal mint are currently using traditional methods of trading in gold which can be inconvenient and time-consuming, not to mention costly. By using the technology behind the anarchic bitcoin cryptocurrency, blockchain, the time it takes to settle trades will be greatly reduced, which removes a substantial amount of admin and will dramatically cut costs. The technology will create a permanent cryptographically secured record of all transactions and will allow trading to happen 365 days a year, 24 hours a day and what’s more can be settled straight away. Initially, The Mint will store $1bn of 400oz bars in it’s vaults, then convert them to one gram digital tokens which are known as “RMG”s. Investors will then be able to trade on a peer-to-peer basis with no annual, management or storage fees. Instead, The Mint plans to make money by charging a small fee on trades and hopes to compete with other physical gold investment services. The buzz around last week’s Blockchain Expo in London proves it’s not only grown momentum over the last few years but also has become part of the social consciousness and an accepted part of modern life – even if many still struggle with the concept of a virtual currency. With plans to launch in the first half of this year, if the product is successful, it could be a marker of change for blockchain tech to transition from only being associated with bitcoin, to a technology that underpins and secures much of the world’s commerce.